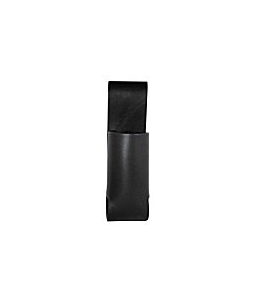 Leather Open Top Pepper Spray Holder, Snap-on | 700081, COURTLAND BOOT JACK COMPANY, Leather Open Top Pepper Spray Holder, Snap-on | McDonald Uniforms, Inc. Perfect for keeping personal chemical agents right at your fingertips. Accepts most manufacturers chemical agents including: Mace, Pepper Mace, Punch, Defense Technology. We offer both open and closed top cases that work for conventional duty and larger canisters.